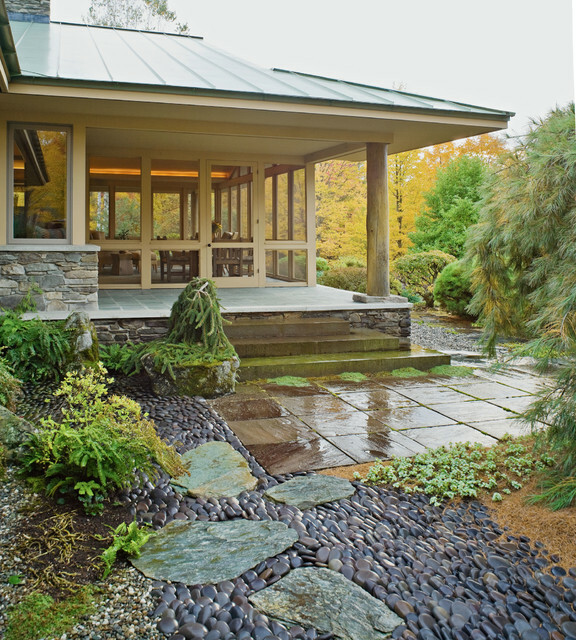 Integration of Prairie-style architecture and Japanese garden. Palette of patterned and textures borrowed from the surroundings. Sequence of places makes a continuous necklace around the home.